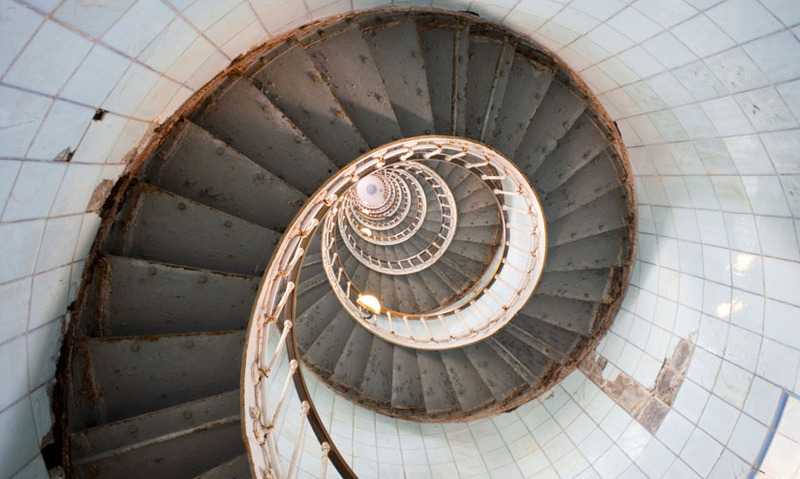 See how perspective is used in graphic art to confuse the mind of the audience, and what happened when the artworld discovered they could draw shapes that could not exist in real life. In 1954, mathematician Sir Roger Penrose travelled to Amsterdam to attend the International Congress of Mathematicians. It was a trip which would change his life and result in one of the most famous works of art in modern times. At the conference, Penrose was shown examples of 'impossible shapes'. They are impossible because although they can be drawn in two dimensions, they could not exist in three dimensions. Penrose returned home from the trip resolved to design his own impossible shapes. He created the Penrose Triangle. It uses geometry to trick our sense of perception. This occurs when a pattern is created that our visual system can interpret in more than one way. The false perspective is created because supposedly receding parallel lines remain parallel. This is combined with the inclusion of impossible connections. The effect is a figure, which initially seems sound, but is actually illogical. The second impossible diagram Penrose drew was the Penrose Stairs. Penrose posted copies of his diagrams to one of the graphic artists whose work had inspired him in Amsterdam – MC Escher. Escher loved optical illusions and often used mathematical concepts in his art. Prof Ian Stewart University of Warwick, UK – "The amazing thing about MC Escher is that he represents the perfect coming together of mathematics and art. These are two different worlds, but in his work, they're brought together as one." 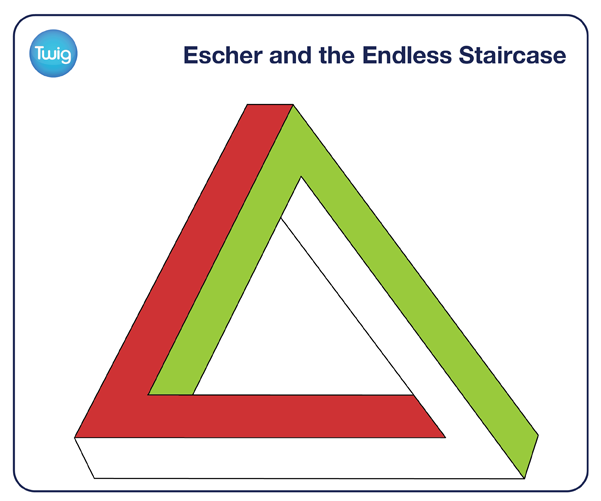 Fascinated by Penrose's Stairs, Escher was inspired to create his masterpiece, Ascending and Descending. It shows a distorted route on which the figures are destined to walk forever. "What's fascinating about visual illusions, to everybody, is that they show us that we don't just perceive the world as it is, our brains actually interpret what they perceive and make assumptions about what they're seeing. Escher's visual illusions give that part of our brain a real work out – what is this thing we're looking at, what am I seeing here?"